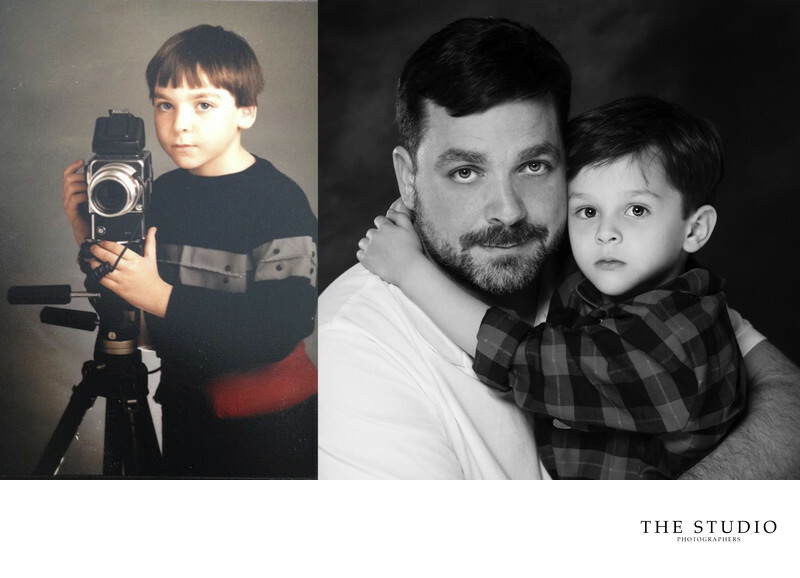 We are a family owned photography studio started in 1974 by Frank Salomone. With a degree in accounting, he decided to follow his love for photography and founded The Studio Photographers in a small booth at the General Store in Brick, NJ. Frank's dramatic sunset wedding images and illustrative family portraits began to be displayed in homes across New Jersey. In the late 90's, we added Frank's son, David, to the family business. David brought his own style of photojournalistic wedding photography that helped elevate us to a new level of creativity. We have been blessed to photograph weddings all over the world. From our home at the Jersey Shore, we have traveled to Italy, Mexico, Bahamas, Bermuda, Aruba, and across the United States. Our images have graced the covers of Contemporary Weddings Magazine, Locations Magazine and The Beachcomber. Clients images have been featured on numerous wedding resources like Style Me Pretty, Grace Ormonde Wedding Style, Celebrity Bridal Guide and The Knot. One of our greatest experiences was photographing a wedding on the CBS Early Show in front of a live national audience. David was also honored to be chosen by celebrity, Paul Teutul Jr. of American Chopper fame and his beautiful wife, to photograph their private nuptials in Long Beach Island, NJ. We are pleased that these heartfelt images were then featured on network television. Over the past 40 years, our images have been recognized across the photography industry. Frank has earned the title of Master Photographer by the Professional Photographers of America (PPA) for his excellence in print competition. His images have won multiple best of show awards for PPofNJ and PPofNY. Frank and David have both earned multiple awards in the Wedding and Portrait Photographers International (WPPI) 16x20 Print Competition. We pride ourselves on our clients experience being just as important as the images we produce. Follow along with David on an engagement session to see what the difference a great experience makes.